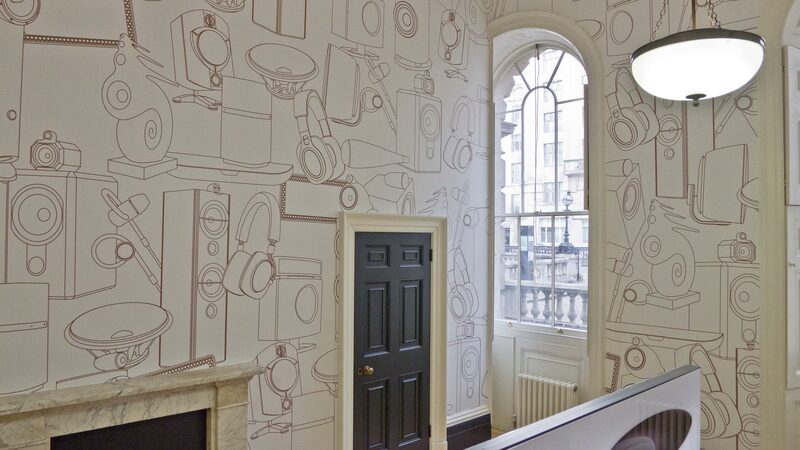 London’s Somerset House was the venue for ‘Björk Digital’ – an immersive virtual reality exhibition. 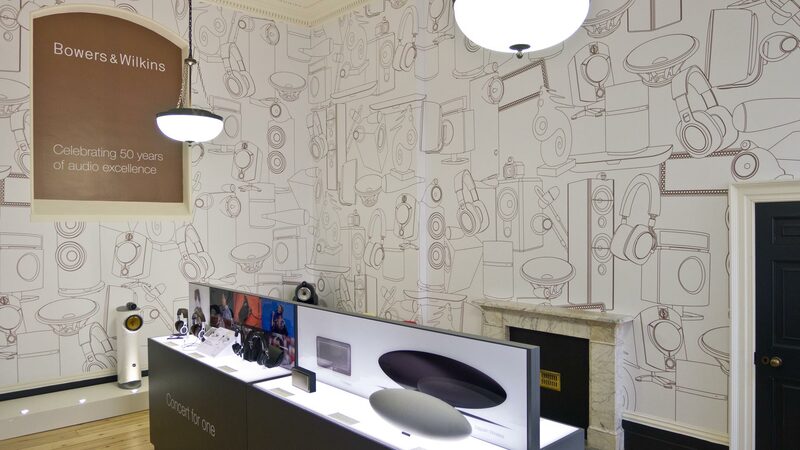 Coinciding with the Icelandic icon’s eight week residence British audio firm Bowers & Wilkins opened a pop-up-shop in the 18th-century building turned centre for contemporary arts and culture. 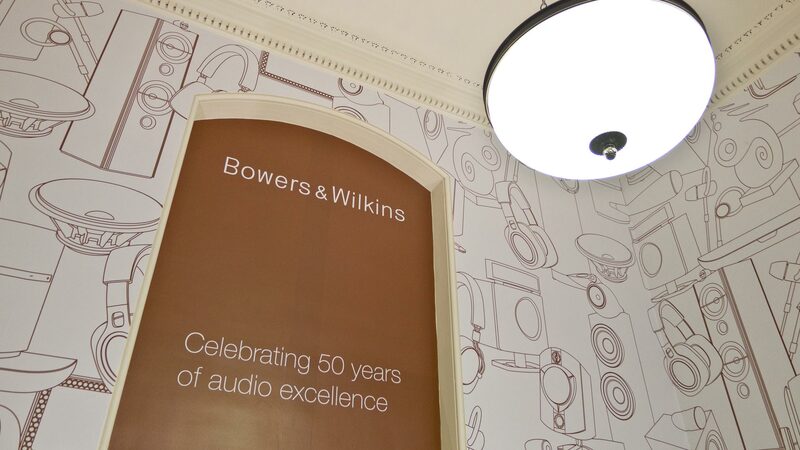 The event marked the 50th anniversary celebrations and was part of the programme of the jubilee conference that brought together Bowers & Wilkins distributors from all around the world. 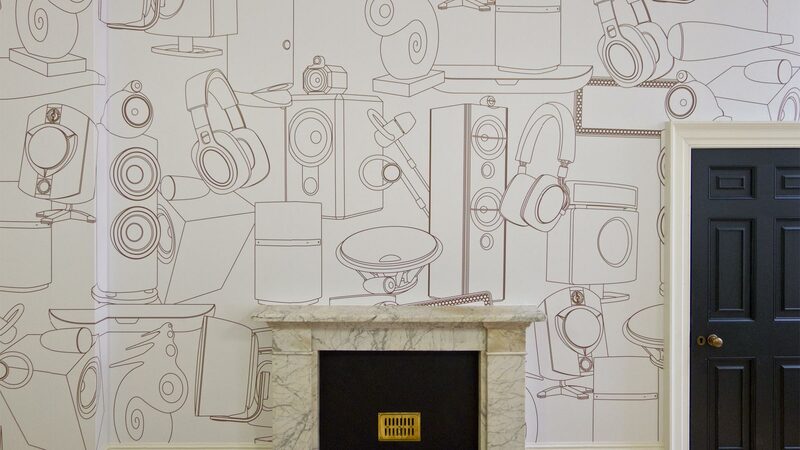 In time-honoured 18th-century tradition the walls of the shop were decorated with printed wallpaper, but instead of the customary floral motifs, the pattern was made up of line drawings of the firm’s historic product highlights. 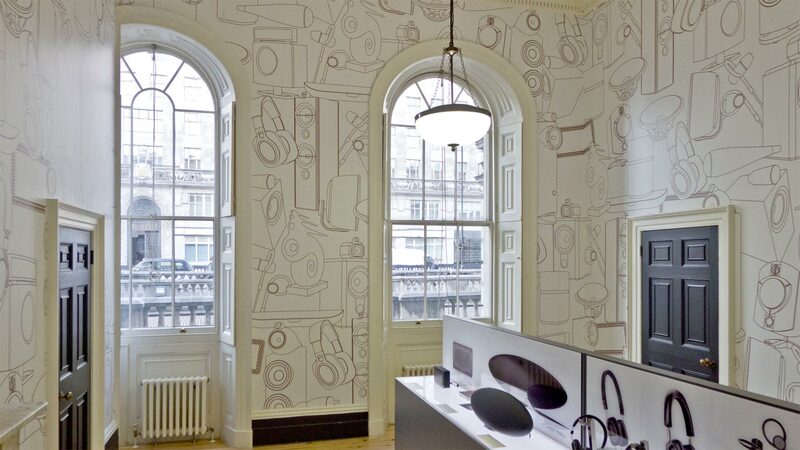 Bowers & Wilkins is the UK's leading manufacturer of loudspeakers, sound systems, headphones and car audio with distribution in over 60 countries around the world. Ever since the company was founded by John Bowers in 1966, innovative acoustic engineering has been the hallmark of its products. 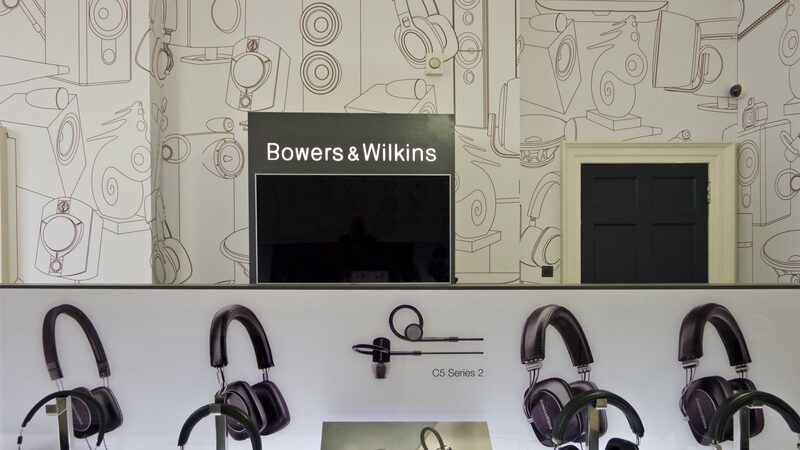 Bowers & Wilkins' technological advances have resulted in rave reviews and the company's products are sought after by recording professionals and music lovers alike. 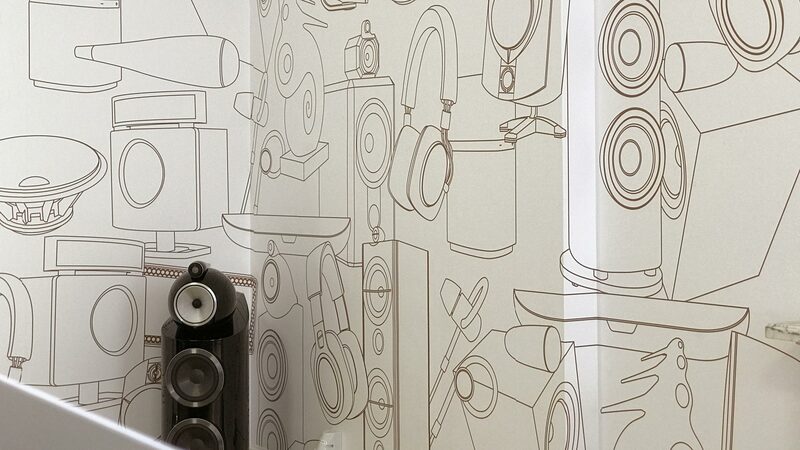 Bowers & Wilkins has always enjoyed a close relationship with recording engineers who provided vital feedback on how loudspeakers could be improved. 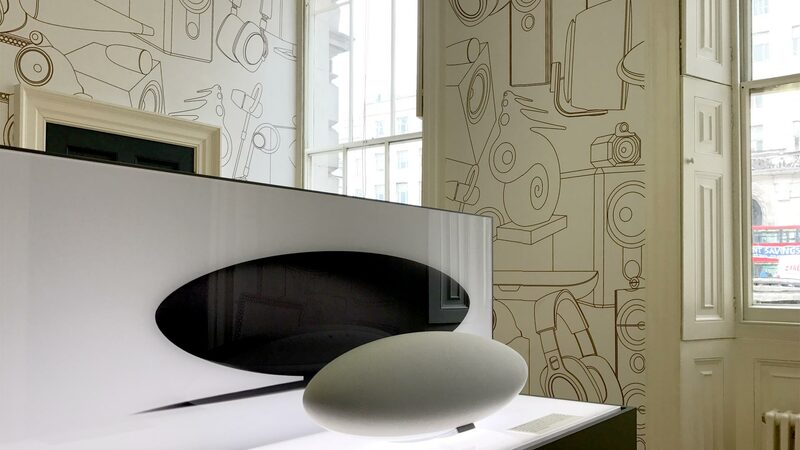 As a result of this relationship, Bowers & Wilkins' famous 801 was launched in 1979 and soon became the reference speaker in nearly all of the world's classical recording studios, including EMI Abbey Road, Decca and Deutsche Grammophon. 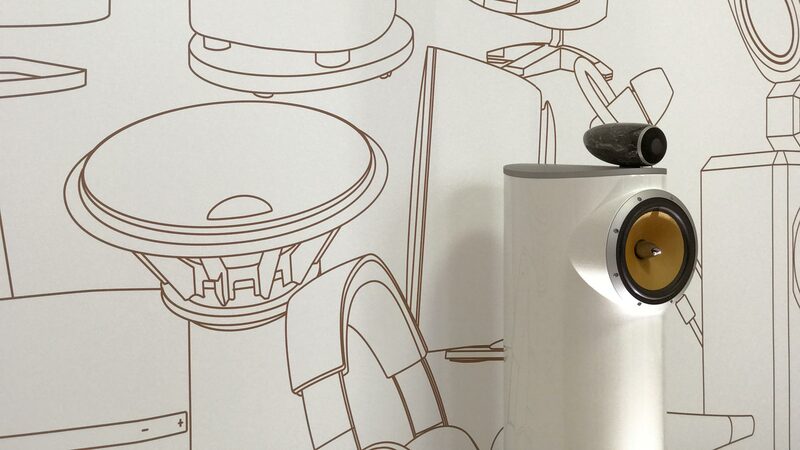 The phenomenal success of this product pushed Bowers & Wilkins to the fore of all loudspeaker manufacturers.